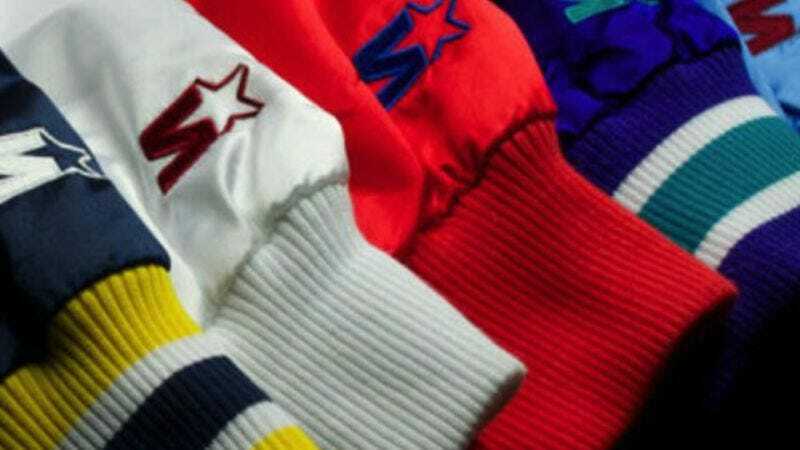 If you grew up in the late ’80s or early ’90s, you remember the ubiquitous popularity of Starter apparel. The company’s jackets and hats were a must-have if you didn’t want to be laughed at in middle school and forced to eat with the janitor. The brand was everywhere, in TV, music videos, and movies. Starter even helped the Chicago White Sox rebrand to sell more merchandise. By the turn of the millennium, though, the company was all but finished. A new article on Mental Floss explains how the company both invented licensed merchandise for adults, and wound up going bankrupt. In the early 1990s, Starter’s appeal was a major factor in a string of robberies. The jackets, which were priced at up to $300, were so coveted that some incidents turned fatal: A 17-year-old in Ohio was shot dead for a Georgia Bulldogs jacket. The morbid publicity capped a tumultuous few years for Beckerman, who had suffered a bizarre string of misfortunes in the late 1980s: a warehouse fire, hurricane, and tornado all caused major inventory losses; a shipment from overseas contained 250,000 pieces of lice-infested merchandise; some thieves skipped the ponderous effort of robbing people individually by hijacking entire trucks. The Biblical-scale damage barely made a dent in Starter’s success: In 1992, Nike CEO Phil Knight offered to buy the company outright. Instead, Beckerman chose to take it public the following year while racking up over $350 million in sales. It turns out that, in addition to killing the Montreal Expos, the 1994 Major League Baseball strike was also a major factor in Starter’s decline, as well. Lice-infested shipments and a reputation for getting wearers robbed weren’t enough to put a dent in Starter’s bottom line, but a missing MLB post-season was too much to bear. In 1994, Major League Baseball canceled its postseason due to a players’ strike. Traditionally the hottest time of the year for apparel sales, the lack of televised games hit Starter hard. Company spokesperson Ian Gormar told press the financial losses would be “significant.” The NHL lockout followed shortly thereafter. Suddenly, Starter was without the sports that drove its business—nothing could be “authentic” if players and trainers weren’t showing up for work. Thankfully for fans of both sports and nostalgia, the brand is operational again, which is great. Those satin jackets are still fly as hell.